The new Universal Monsterverse is officially set to launch with this summer’s The Mummy and work is already well underway on several additional big screen projects that will tie into the same continuity. The Tracking Board today offers an update on one of those films, a Van Helsing movie that, according to the outlet, sees Wrath of the Titans scribe Dan Mazeau taking over scripting duties. 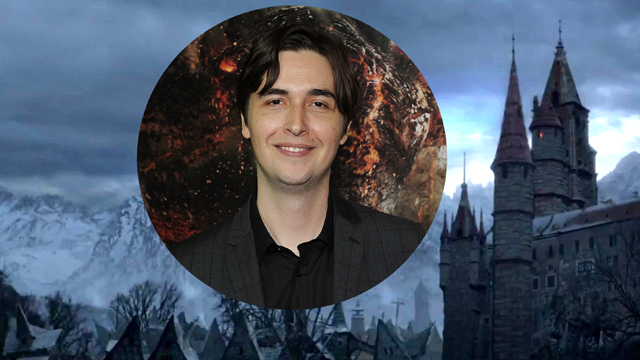 Mazeau was part of Universal Pictures‘ Monsterverse writers room and takes over the Van Helsing movie from Arrival‘s Eric Heisserer and Doctor Strange‘s Jon Spaihts. Abraham Van Helsing was created in 1897 by Bram Stoker for his novel Dracula. The arch enemy of the undead count, Van Helsing was both a fount of occult knowledge and a fearless vampire slayer. Over the past century, the Van Helsing character has been reimagined time and again. As was the case with the 2004 film, Van Helsing is often depicted battling all manner of monsters. Although plans for the Van Helsing movie may change now that Mazeau is taking the lead, Heisserer stresses that he very much wanted to avoid a superhuman version of the monster hunter. What do you want to see from a Van Helsing movie? Let us know your thoughts in the comments below!